Clare Harvey was born in Devon and grew up in England and Mauritius. She studied Law at the University of Leicester and has an MA in Creative Writing from the University of Nottingham. 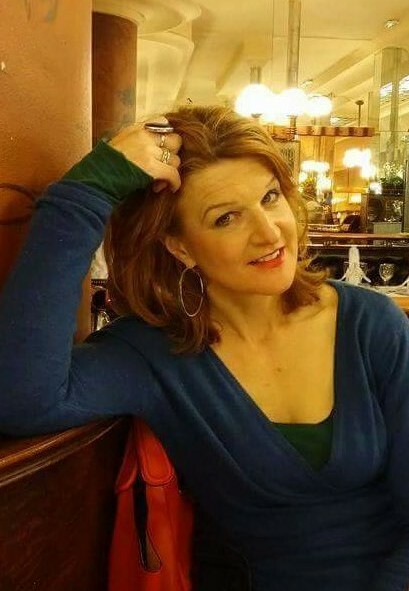 A love of travel and seventeen years as the ‘trailing spouse’ of a serving soldier has meant stints working variously in journalism, charity PR, and English language tuition throughout the world. The surprise discovery that her mother-in-law was a teenage soldier in World War 2 sparked Clare’s debut novel, THE GUNNER GIRL, which won both the Exeter Novel Prize and the Joan Hessayon Award for new fiction. “Had me enthralled” – Kate Furnivall, bestselling author of The Betrayal. “A triumph” – Jill Mansell, bestselling author of You and Me, Always. “A gripping story” – Julie Cohen, author of Together. “An exceptional talent” – Kate Rhodes, author of the Alice Quentin series. “Will delight all those who love a good wartime story” – Dilly Court, bestselling author of Mermaids Singing. “A real page-turner” – Ellie Dean, bestselling author of the Cliffehaven series. “Heartwarming, enjoyable and full of surprises” – Elizabeth Chadwick, bestselling author of the Eleanor of Aquitaine trilogy. World-renowned war artist Dame Laura Knight is commissioned to paint propaganda portraits of factory girls and is sent to the ordnance factories in her hometown of Nottingham. At first she relishes the opportunity for a nostalgia trip, but when she starts work on a portrait of two particular women, Violet Smith, and her co-worker Zelah Fitzlord, memories begin to resurface that she has spent half a lifetime trying to forget. But, just like war artist Laura, Violet and Zelah have something hidden, mistakes that they have tried to leave behind with their old selves. Will the night shift keep these women’s secrets, or will the past explode into the present and change all of their lives forever? The English Agent (Simon & Schuster), Clare Harvey's gripping wartime drama, is out now in paperback. It is winter 1941. Teenage Vanessa loses her entire family when her home is bombed before her very eyes. Traumatised, she seizes her admired older sister Joan’s identity papers and joins the army in her stead. This sets in motion a chain of events whereby she is recognised for her abilities but becomes steeped in deceit and subterfuge. 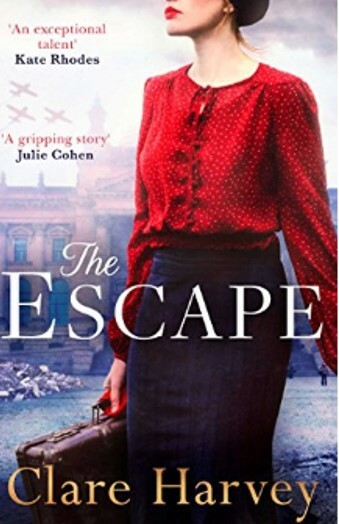 In a plot that expertly weaves Vanessa’s journey with her fellow girl soldiers Edie and Bea, this original debut deftly combines romance, tragedy and coming-of-age stories, set against a backdrop of wartime London. The Gunner Girl is the Winner of the 2014 Exeter Novel Prize. and won the 2016 Joan Hessayon Award for romantic fiction.